2013 Chevy Camaro SS Coil Over Suspension / Headers & Throttle Body. Robert brought us his 2013 Chevy Camaro SS automatic. Robert's car got a set of Pfadts new tri-y headers, a stainless works cat-back system, K&N cold air intake and one of our own ported throttle bodies. 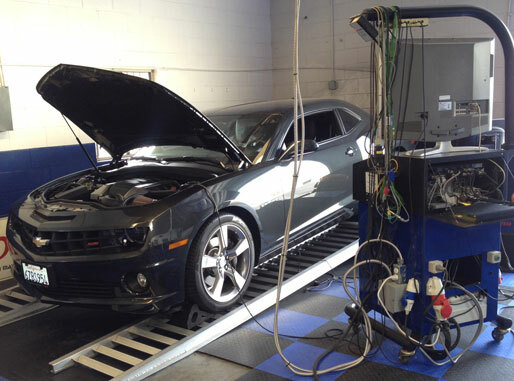 After tuning, the Camaro was up 55 rear wheel horsepower and 63 lb-ft of torque!